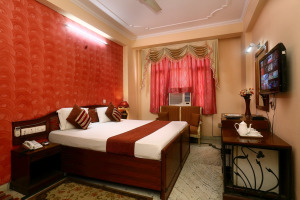 Welcome to Hotel Indraprastha in Delhi, a best budget hotels in Karol Bagh, New Delhi, which provides ideal accommodation for business, corporate and leisure travellers. Hotel Indraprastha, one of the finest budget hotels in Delhi, located in the Karol Bagh, central Delhi. Hotel is just at 30 min drive from Indira Gandhi International Airport and 15 min drive from New Delhi Railway Station. HOTEL IS JUST AT 5 Min WALK FROM KAROL BAGH METRO STATION. 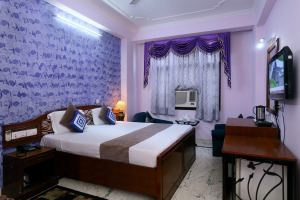 The Hotel is located in the centre of city from where you can visit the various monuments and places of tourist interest, shopping centers and also have a real feel of the city life of Delhi.